For WC 2018 Antonio Rüdiger (National Team of Germany) is joining BigShoe11. The German national player Antonio Rüdiger (25), in collaboration with BigShoe is taking over eleven children's operations in the West African state of Sierra Leone symbolically for a football team. ``I want to help where the children are not doing as well as we do in Germany. I went to visit my mother´s home country in 2016. As we are doing extremely well in Europe, it is a matter of fact for me to help`` said the football star from Chelsea Football Club. These needy children from Sierra Leone are suffering on clefts and burns and now get life changing surgeries. Sierra Leone is one of the poorest states in the world. 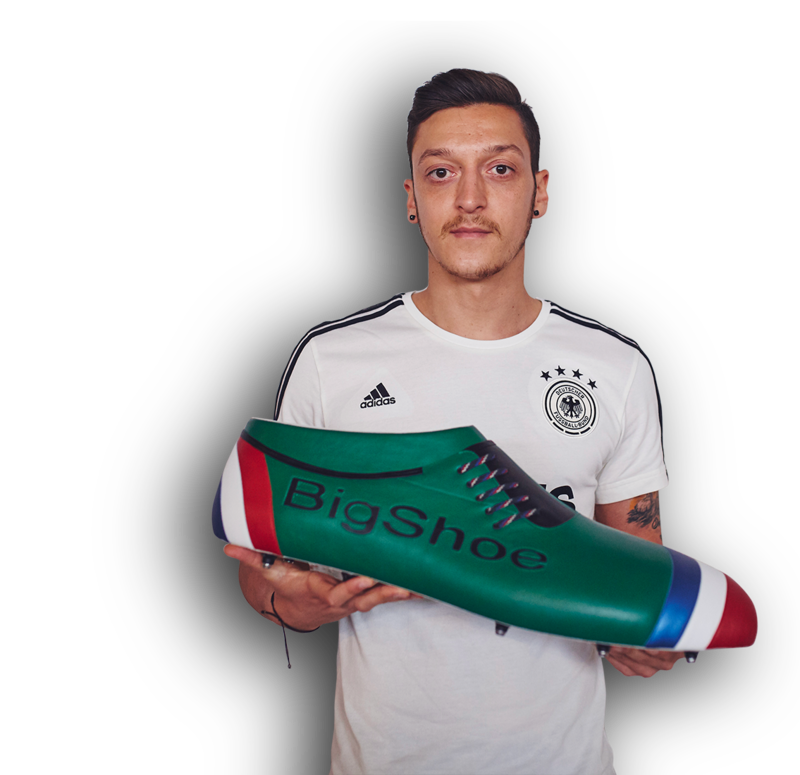 The BigShoe11 Team started 2016 with 2 national players – France (Paul Pogba) and Germany (Mesut Özil). They financed 2x11 operations on needy children in Tanzania for EC 2016. 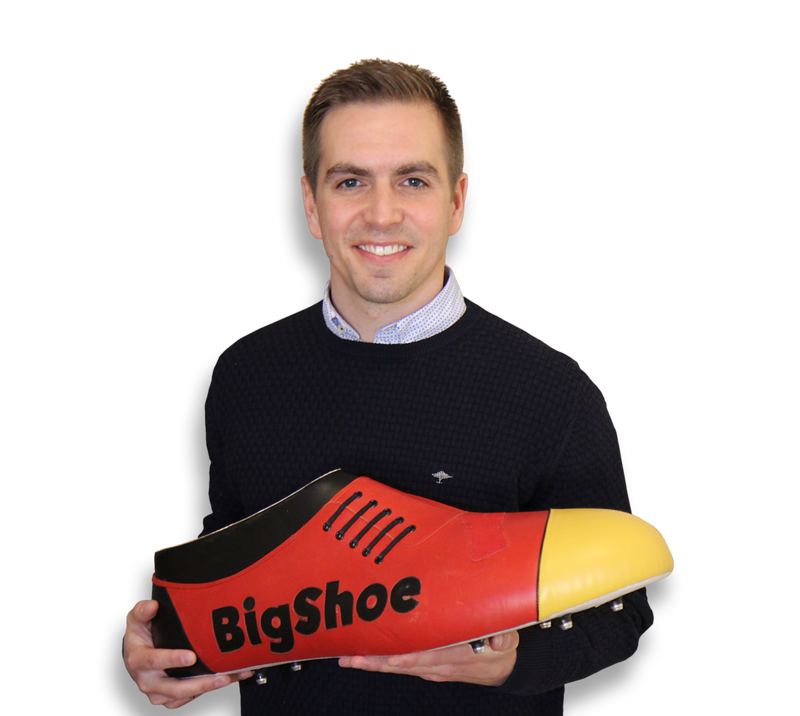 Philipp Lahm (captain of the German national football team 2007-2014) is joining BigShoe11. 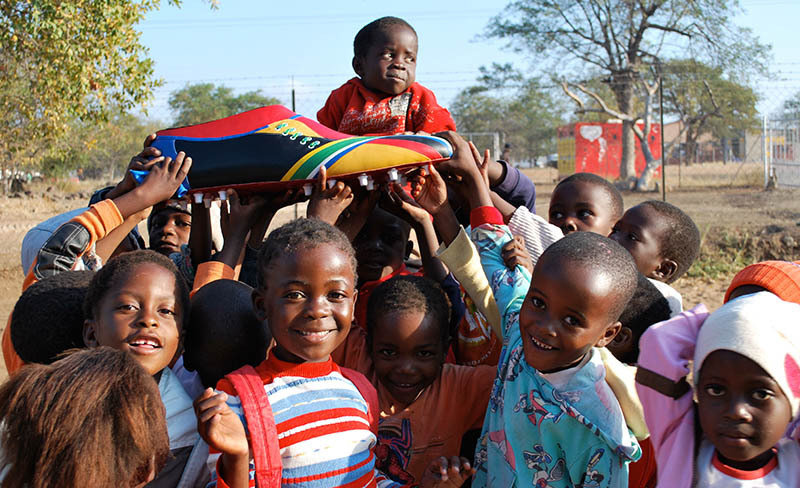 The first Philipp Lahm - BigShoe Cup in the township of Philippi 2019 helps 11 children to receive life-changing surgeries. 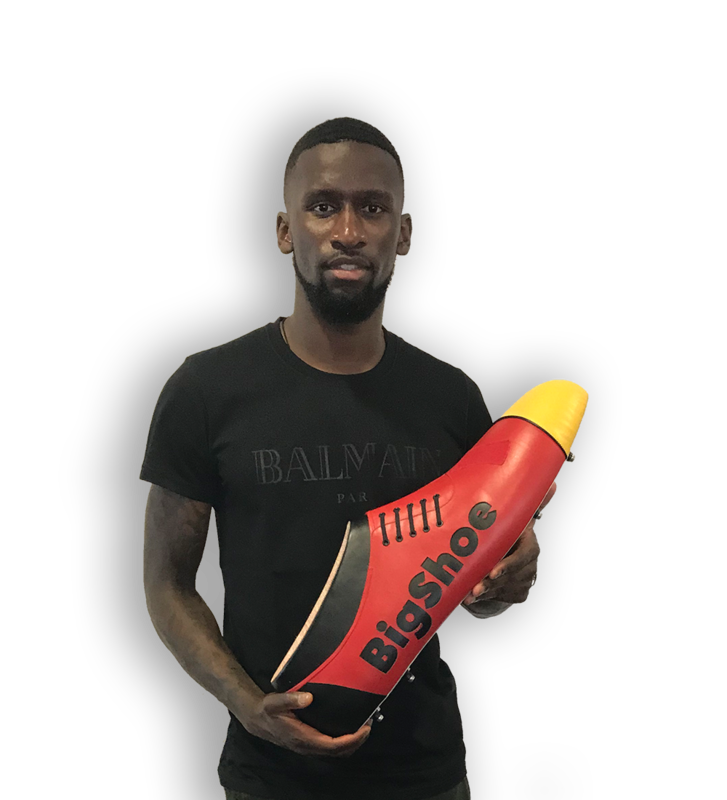 Antonio Rüdiger plays for the Germany national team and supports BigShoe11 by overtaking the costs of the surgeries of 11 needy children for WC 2018. Paul plays for the France national team and supports BigShoe11 by overtaking the costs of the surgeries of 11 needy children. Mesut plays for the Germany national team and supports BigShoe11 by overtaking the costs of the surgeries of 11 needy children. 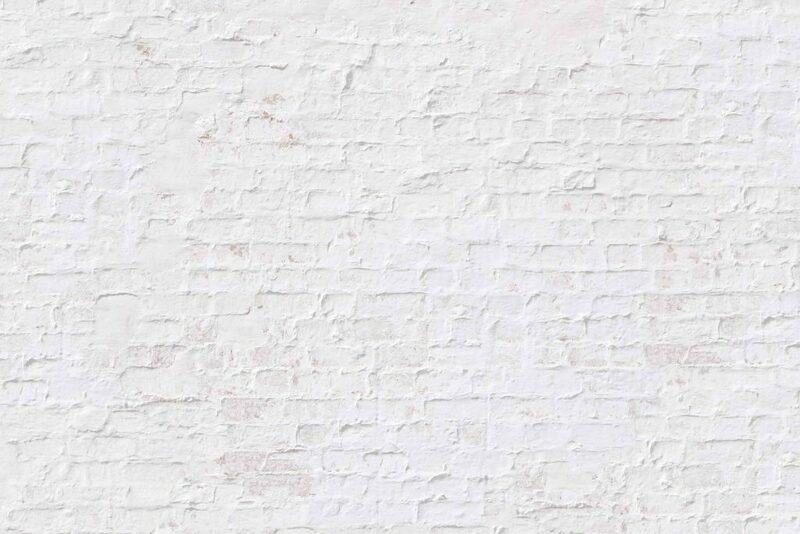 The project started with the „Sommermärchen“ during the FIFA World Cup 2006 in Germany. The Togo national team was based in Wangen im Allgäu. When the citizens of Wangen heard about poor little Nourisson from Togo, who was born with a cleft and urgently required an operation, they began collecting money to help pay for her operation. The story of BigShoe began there and progressed to the WC 2010 in Africa and to Ukraine/Poland for Euro 2012. Thanks to a large number of generous donors, we have been able to operate on many needy children. BigShoe won the World Cup Bambi (German) Television Prize, awarded by Hubert Burda Media (presented by Franz Beckenbauer at the Daimler Benz Museum in 2006). Football fans all over the world - Get involved! Help children in need by joining BigShoe for just 11€. BigShoe E. V. IS RECOGNIZED AS A CHARITABLE ASSOCIATION.